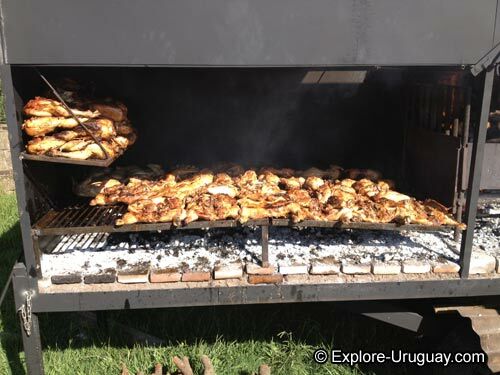 When deciding on a good Asado Recipe there are many things that you will need to consider. 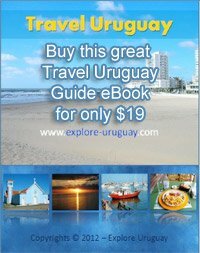 here is an outline for you to follow to help ensure that your next Uruguay barbeque turns out to be a mouth watering experience that will delight your senses. One of the first things you will want to think about is the cut of meat that you are using. 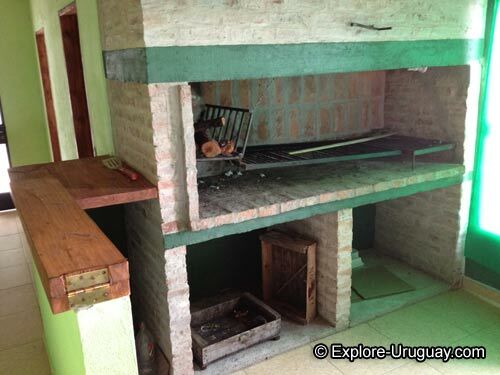 This is so vitally important to realizing a successful Uruguayan barbeque. The typical meat used is called asado de novillo en tiras which is young beef without much fat and has small bones attached. For reference, we are including some pictures. 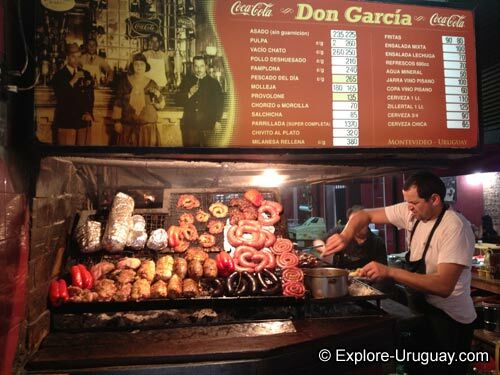 When you are in Uruguay you will also want to make certain you pick your Parillas well, because many times you will see that the cut of meat is fatty and with larger bones, indicating that the cut is taken from an older animal. In this instance your meal will not be tender and you might feel disappointed, especially if this is your first experience with a true Uruguay Asado. After purchasing your cut of beef, you will begin with the preparation of the meat which consists of combining a variety of spices. Usually the combination consists of minced garlic, parsley, salt and pepper added to boiling water with sunflower oil. This combination is usually placed in a glass jar and is used as a barbeque sauce when grilling. Next and very important is picking the wood to use in the barbeque. Although there are several woods that are typical, the one wood that gives this country its unique taste and flavor is the cor. The best option when choosing the wood. There are 3 types of wood that are typically used, 2 come from protected areas in Uruguay and obtaining this wood might be difficult. The third and most commonly used wood for creating a Uruguayan Asado recipe is the eucalyptus wood which is commonly sold in supermarkets know as Super Mercados and even in the most common corner stores also known as kioskos or almacen. The first two types of wood which again are hard to find in Uruguay are preferred for several reasons including the fact that the coals that are produced are more than the typical wood of Eucalyptus. It is possible and quite common to get all the coals you need from Eucalyptus, but the key is not to neglect your fire. Once the burning wood begins to produce coals they are moved into position underneath the barbeque. The wood will continue to burn on the side of the barbeque, but is not used for the cooking of the meat. Only the coals are used for this process. The time it typically takes to gather enough coals to begin cooking is usually 40 to 50 minutes after the fire has been started. Now is the the time to place the roast on the grill. Be sure to ensure that the embers are sufficiently heated. You will want to add additional coals to the side of the grill where the cuts of meat are the thickest. In each household the way of preparation of the roast is different. One of the most common Uruguay Food garnishes are salads including potato salad known as Ensalada Rusa. Another common salad would be lettuce and tomato salad. Usually your favorite Asado Recipe is accompanied by a good Uruguay Wine, the most common of which are, Tanat Merlot, Cabernet Sauvignon. No matter who is manning the barbeque you can be certain that one common sight that you will see is that he has a Yerba Mate in his hand.